If your children are on summer break, your home is probably looking less tidy than normal. Turn this around with these simple tips to keep your home clean all summer. Children and parents alike love the summer season. Whether it's the warmer weather, sunny days, or the chance to spend more time together, summer is great for all, that is, until it comes to your home's tidiness. To help you keep a tidy home with minimal work this season, Tacoma Cleanpro has some home cleaning tips the whole family can follow. 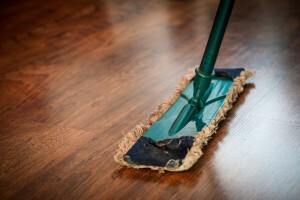 Chances are you already have a cleaning schedule that you follow daily, weekly, or even monthly. While this is great, a change like your children being on summer break or even changes in the weather can drastically affect this schedule. You may have larger messes to deal with more regularly or even more cooking to do since your kids will no longer be spending their lunchtime at school. Whatever the case is, don't throw your cleaning schedule completely out the window. Instead, focus your efforts on adapting your cleaning schedule to the season and the changes it brings with it. An easy way to adapt your cleaning schedule to the seasonal changes in your home is to include everyone in it. Yes, that means giving your children different tasks that they will have to complete daily, weekly, and monthly. No matter how old your children are, they are definitely capable of things like cleaning up after themselves, picking up their toys, and making their bed every morning. These little tasks can prove to be huge in the grand scheme of things. They can also help lighten your load. Depending on how old your children are, they may also be able to wash dishes, do laundry, sweep, mop, and vacuum. While they may not like the idea of having chores, they'll get over it and learn to be responsible and independent thanks to their chores. Sunny days, warm weather, and freedom from school mean your children will probably spend more time outdoors. This isn't a bad thing, that is until they start taking the outdoors into your home. This can result in dirt, mud, and moisture being dragged inside, onto your upholstery, and into your carpet. More than ever, it's important that your children don't trample over your carpets and upholstery with their outdoor shoes. Leave a shoe rack at the entrance of your home where they can change into their indoor shoes. If they have a pet that likes to spend time outdoors with them, teach them to clean off their pet's paws and coat before heading inside. Get your carpet clean this summer with the carpet cleaning services offered by Tacoma Cleanpro. To schedule your carpet cleaning, contact Tacoma Cleanpro at (253) 229- 7499. If you're busy during the week and don't have a lot of time to take care of cleaning and tidying up as much as you'd like, set aside one day of the week where everyone can pitch in and help clean the entire house. Make a day of it and make the cleaning as fun as possible. Play some music and work as a team. You can work with your children to tackle one room at a time together or split up the work. Make a checklist that is easy to follow and that everyone can check items off as they go. The more time you spend out of your house the less you have to worry about a mess being made inside. Take advantage of the summer weather and spend time at the local pool, the neighborhood park, or visit museums. This will keep your kids busy and exploring while also keeping your home clean and tidy. If it seems like you're out of storage space in your home, it's probably because you've accumulated tons of stuff over the years. Oftentimes, people accumulate tons of junk because they think they'll need it in the future only to forget that it's taking up space in a drawer, cabinet, or closet. To get rid of all these things you don't need, simply plan a decluttering day. Go through your closets, junk drawers, garage, and any other space where you may have piles of stuff you probably won't ever need. Donate items that are still in good condition and toss those that are past their prime. Start the summer off with a clean carpet! Schedule your next carpet cleaning in Lakewood by contacting Tacoma Cleanpro at (253) 229- 7499. Their team of professionals will have your carpet looking great in an afternoon. Check out their upholstery care services to get your home cleaner than ever!